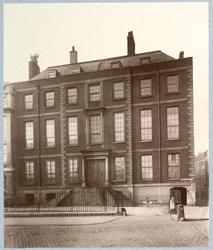 Newcastle House, originally known as Powis House at Lincoln's Inn Fields was erected by Lord Powis about 1686 and designed by Captain William Winde. "Till quite recently the right-hand half of the house, No. 67, was well known as being the offices of the Society for the Promotion of Christian Knowledge."